Former bantamweight champion Dominick Cruz is making his long-awaited return to the Octagon in 2019. 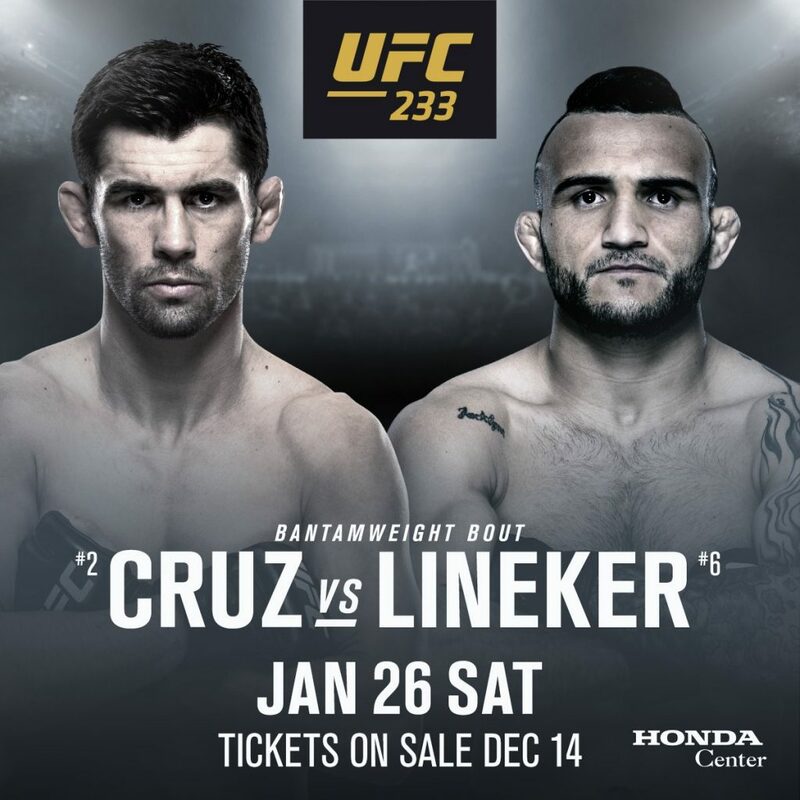 The UFC announced that Cruz will make his return at UFC 233 to take on contender John “Hands of Stone” Lineker. Cruz’s return will come after over a two-year layoff after he lost the bantamweight title to Cody Garbrandt at UFC 207. The loss to Garbrandt was the first UFC loss in Cruz’s career and only the second loss of his professional career. Hampered by injuries throughout his entire career, Cruz had been scheduled to make his return at UFC 219 in December of 2018 against Jimmie Rivera but had to withdraw from the fight so he could undergo surgery for a broken arm. Lineker will make his return to the Octagon since UFC 224 back in May of 2018 where he defeated Brian Kelleher by way of third-round knockout. “Hands of Stone” is currently riding a two-fight winning streak with his last loss coming to current bantamweight champion T.J. Dillashaw at UFC 207. 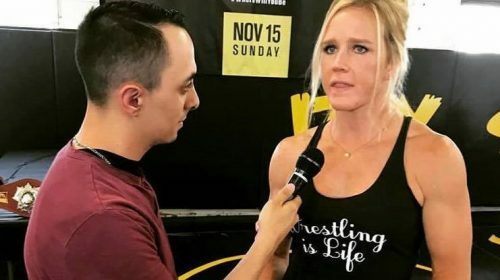 The fight between Cruz and Lineker could set up the winner as a potential opponent for Dillashaw who will be fighting Henry Cejudo for the flyweight title in hopes of becoming a two-weight world champion. Dillashaw defeated Garbrandt twice while Cruz was on the sideline to take back the title and defended it against Garbrandt as well. Dillashaw became champion while Cruz was on the sidelines with injuries and had to vacate the title. Cruz would come back to fight Dillashaw and defeat him in January of 2016 to reclaim his belt and would then go on to defend it against Urijah Faber at UFC 199 before losing it at UFC 207. A win over Lineker would likely put Dominick Cruz back into the title picture where there are plenty of contenders for Dillashaw when he returns to the division. UFC 233 will take place on Saturday, January 26, 2019 at the Honda Center in Anaheim, California with tickets going on sale December, 14 2018.